So once again EXPO-NG proved to be a highlight of the year for any narrow gauge enthusiast, with a superb range of quality layouts and lots of specialist trade. This year I was helping the Sussex Downs group with the 009 society stand, which entails a little demonstrating and a good deal of chat (I got half-way through a wagon kit, which is about right! ), I got the feeling there were a lot of visitors new to 009 modelling. 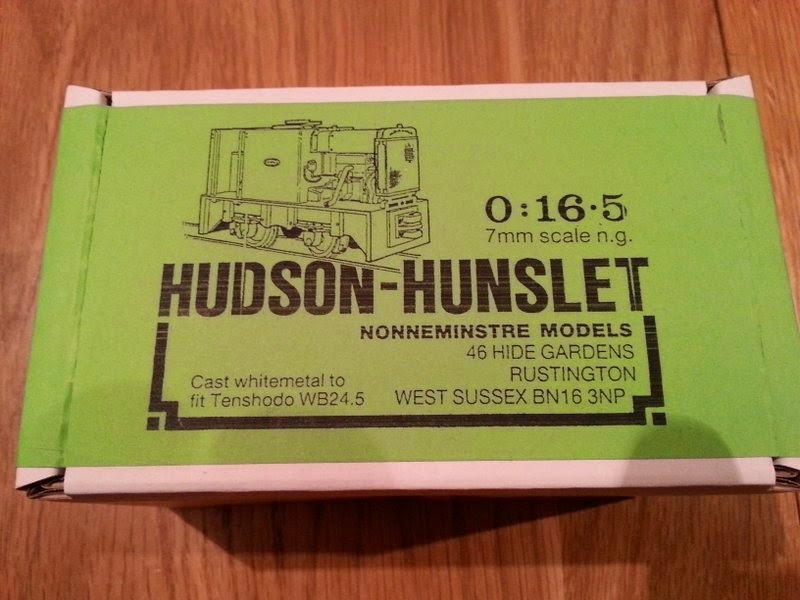 Most had joined the society but had the usual questions about what to buy, what couplings to use, and so on; I think this is evidence that recent new products, promised releases, and publicity about 009, are increasing interest in narrow gauge modelling. We managed a good turn-out to man the stand so there was plenty of time to mooch round too, and meet lots of familiar faces. I spent a little money too, mostly in the society sales room (though by the time I got in there in the afternoon it was starting to look quite bare! ), but you're probably interested in the layouts. This being 2014 there was an emphasis on O14 layouts (geddit? ), which was great for me as it is one of my favourite scales. I'd been following the build of Abbey End by David Malton on the NGRM forum; it's a model of the end of the Abbey Light Railway in Leeds, a passenger line which sadly closed a couple of years ago that David used to work on. The layout is simple but brilliantly executed, capturing the peaceful woodland brook-side setting and with models of the actual locos and stock. David has presented the layout attractively and professionally too, it deserves to do well on the exhibition circuit. David had commented he had concerns about the reliability of his loco fleet, this being his first exhibition, so I offered back-up power in the shape of my Hudson Hunslet from Thakeham. I'd fitted some Bemo couplings in place of my Microtrains, using the same pocket and screw, which allowed it to work with the Peco couplings David uses. As it happens his loco stud performed fine, but it was nice to see David using the Hudson too. 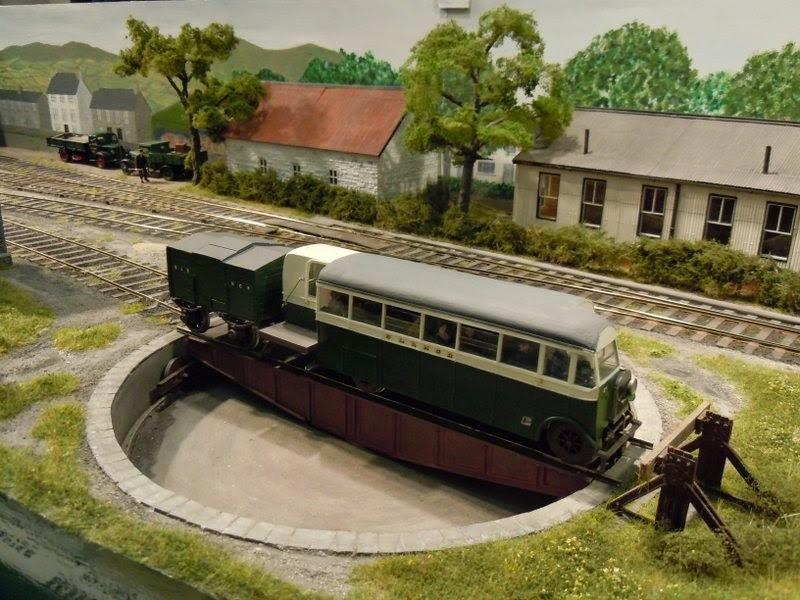 Simon Hargraves' South Brierly Sewage Works is an old layout by contrast, one of the first O14 layouts on the exhibition circuit, and based on a prototype which was featured in the Roy C Link handbook. It's got a lot in common with Thakeham in size and operation, and was also built as a competition entry! No surprise then it's my kind of layout. Rhyd by David John is a different kind of O14 layout, and clearly captures the spirit of the Welsh Slate railway in the Ffestiniog area. A brilliantly modelled scene and top quality stock too, and since the owner lives waaay up Scotland it's unlikely to make many shows in the South, so it was good to see it. John Clutterbuck is a bit of a pioneer and evangelist for O14 and the 'Review has often featured details of the construction of his long-term layout project, the Pentewan Light Railway. John has vowed this is the only outing for the layout so it was a rare privilege indeed to see it (well, the part of it shown) in the flesh. I love the way the railway winds through the bleak Cornish moorland, giving a real sense of distance, while the modelling is to the highest standard possible. Not all the layouts were O14, but several were unlikely to be seen again. Another superb layout that caught my eye was Regionale Tramweg Moulburg in HOe by Jan van Mourik, from the Netherlands. It packed a lot in - town, harbour, two stations, goods yards, engine sheds... but was full of character and detail. Edge, the latest 009 model by fellow blogger Chris Ford, on it's one and only exhibition before passing to it's new owner. Chris built the layout to illustrate an up-coming book but it is to his usual high standard, perhaps the new owner will exhibit it? Finally this was the last outing for Pagham Harbour, the well-known 009 layout by Richard Glover. It's featured in the 009 news many times though it's 3 incarnations over the last 20-odd years, and it's peaceful character has been widely admired. Indeed it won two awards at EXPO-NG! Like Edge it has now been sold, so perhaps it's time is not yet over. Well I've run out of space but do explore further, my rather large photo collection from the show can be found here. Last weekend I took Awngate to the Uckfield show. It's the first 2-day show this layout has ever attended, and other than the small show in Patcham, all previous shows have been narrow-gauge specialist affairs, so it was interesting to see how it was received. It was certainly a busy show and there was lots of interest, and a few nice comments, so pretty good really. I have always enjoyed the Uckfield show as a visitor, it does seem to attract high-quality layouts many of which are rarely seen, at least in this corner of the country, and also some good trade stands. 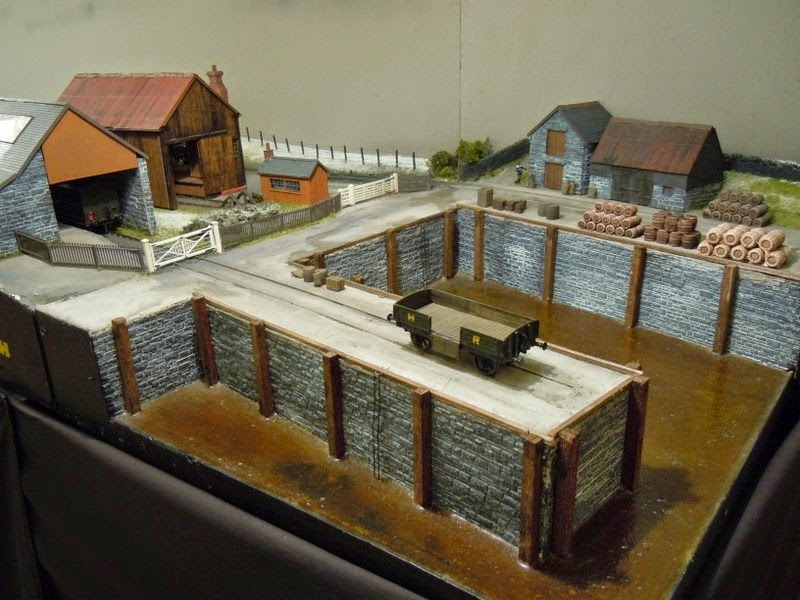 This year layout highlights included Portskerra (EM) by Tim Ticknell, a Highland Railway terminus with harbour modelled on a frosty winter's day. Arigna Town is a 7mm scale, 36.75mm gauge (!) model of the Irish broad-gauge by Dave Holman. Superbly done, and remember pretty much everything has been scratch-built! 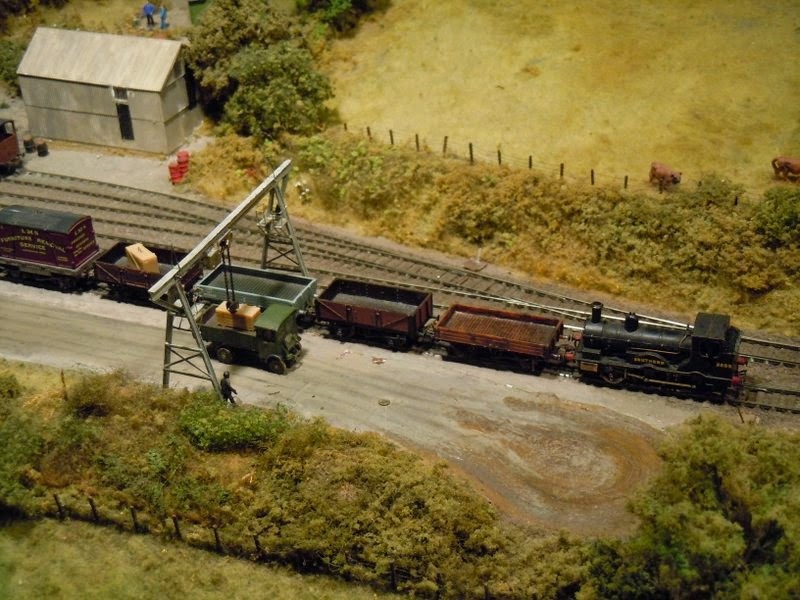 Wenfordbridge Goods Depot is a 2mm scale model of the Bodmin and Wadebridge Railway. A nice model by any standards but the USP was the working crane and road vehicles! this would be some achievement in a larger scale, but this small... wow! There were lots more top quality layouts too, so do take a look at my full photo collection. Although I find 2-day shows a bit of a chore, this was a really well organised and good event to be an exhibitor at. The lunches were good too! Thanks to Simon Wilson, Phil Savage, Chris Ford, and my son Joshua who all helped with operating Awngate. 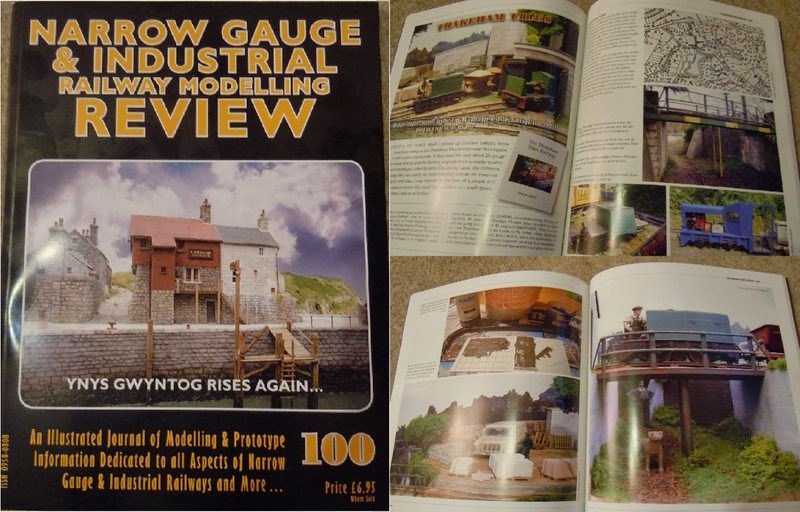 The latest issue of Narrow Gauge and Industrial Railway Modelling Review landed on my door-mat today. It's a special extra-large 100th edition, so it is even more of a privilege to find my article about my Thakeham Tiles layout included! I'm very pleased with they way it has come out, my photos seem to have come up good, but Bob has done a great job of presenting the article over 10 pages. What's more the rest of the issue is top-notch, with superb modelling by well-reputed names. Illustrious company indeed! I'm showing Awngate at the Uckfield show this weekend, today went well but do say hi if you're there tomorrow, and I'll post some pictures later. More motive power for "Thakeham" and "Landswood Park", though first I need to source a chassis for 14mm gauge. 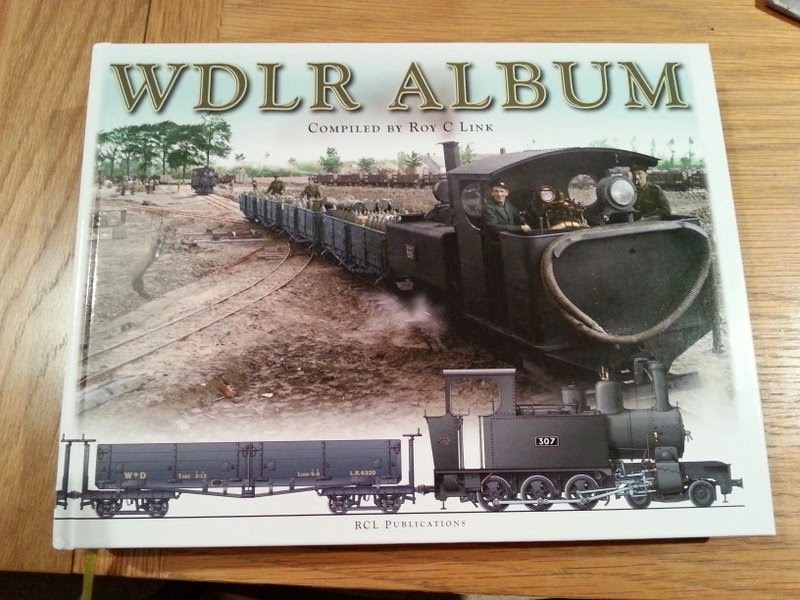 "WDLR Album" from Roy Link was published just in time! It's a superb publication, as the title suggests it is packed with photos that are reproduced to a very high standard. The text is interesting too, much is from contemporary articles, and there are a number of high-quality drawings too. Definitely recommended. 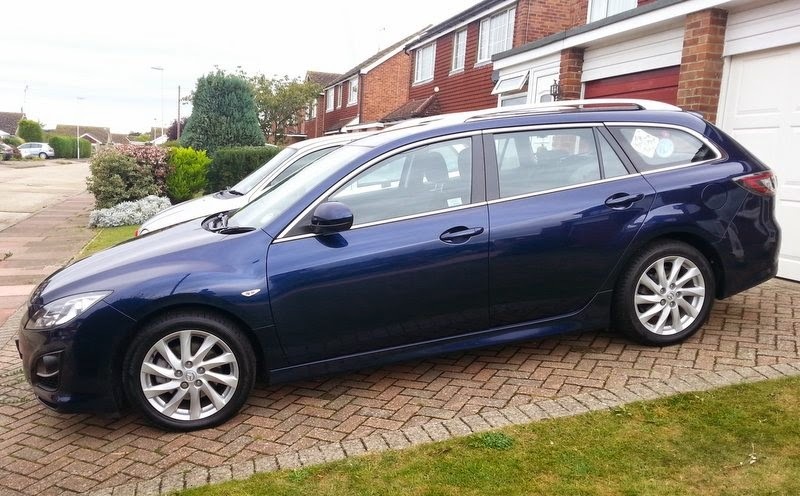 Finally - I've changed my car. Now with an exhibition commitment in a couple of weeks I could be concerned about fitting the layout in ... but looking at the size of the boot, I don't think I've any cause for concern!